After more than twelve years, the creation of The Saint John's Bible has reached its remarkable conclusion. Renowned calligrapher and illuminator Donald Jackson has collaborated with scribes, artists, and theologians to hand-create, with stunning lettering and exquisite illustrations, the entire Bible. The complete project spans seven volumes in published form. Letters and Revelation is the final volume of the entire monumental project. It includes some of the most crucial works of all the Christian Scriptures: epistles traditionally attributed to Paul, John, Peter, James, and Jude, and the fascinating book of Revelation. Donald Jackson's artistic vision lends them a new life and vibrancy for modern readers. The Four Horsemen of the Apocalypse (Revelation 6:1-8) depicts unsettling symbols of power, greed, and exploitation-military tanks, oil rigs, and nuclear power. Written and drawn entirely by hand using quills and paints hand-ground from precious minerals and stones-such as lapis lazuli, malachite, silver, and 24-karat gold- The Saint John's Bible celebrates the tradition of medieval manuscripts while embracing twenty-first-century technology to facilitate the design process and collaboration between Saint John's Abbey in Collegeville, Minnesota, and Donald Jackson's scriptorium in Wales. Donald Jackson is one of the world's leading calligraphers and the artistic director and illuminator of The Saint John's Bible. He is a Senior Illuminator to the Queen of England's Crown Office. He is an elected Fellow and past Chairman of the prestigious Society of Scribes and Illuminators. His 30-year retrospective exhibition, Painting with Words, premiered at The Minneapolis Institute of Arts in Minneapolis, Minnesota, in August 1988 and traveled to thirteen museums and galleries. A new exhibition, Illuminating the Word: The Saint John's Bible, premiered a national museum tour at The Minneapolis Institute of Arts in April 2005. 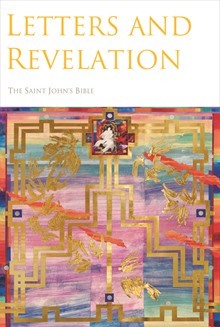 Exhibitions of The Saint John's Bible continue in museums around the United States and at Saint John's Abbey and University.